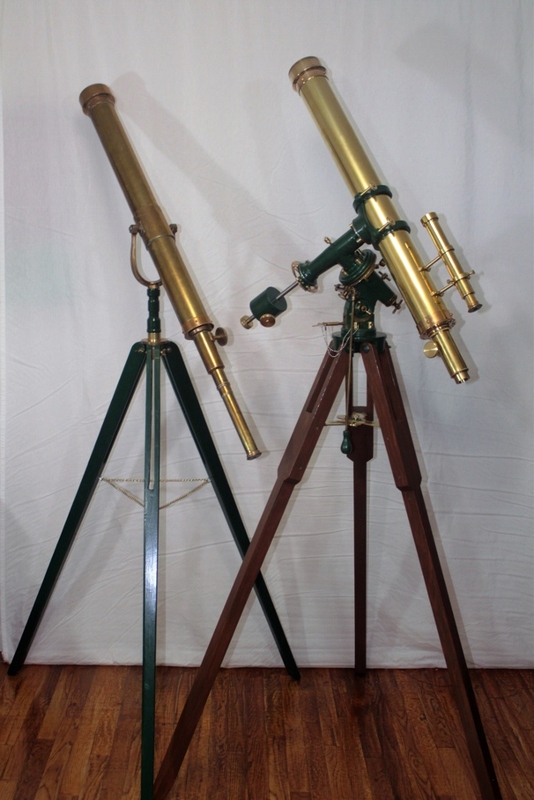 This is a pair of Mogey 3 inch telescopes. They probably date from the 1920′s or so. The one on the left is completely original except for the tripod, which I made. The one on the right was a mess when I got it, with a very strange declination housing. Here’s a picture. So that may be a project in the future. 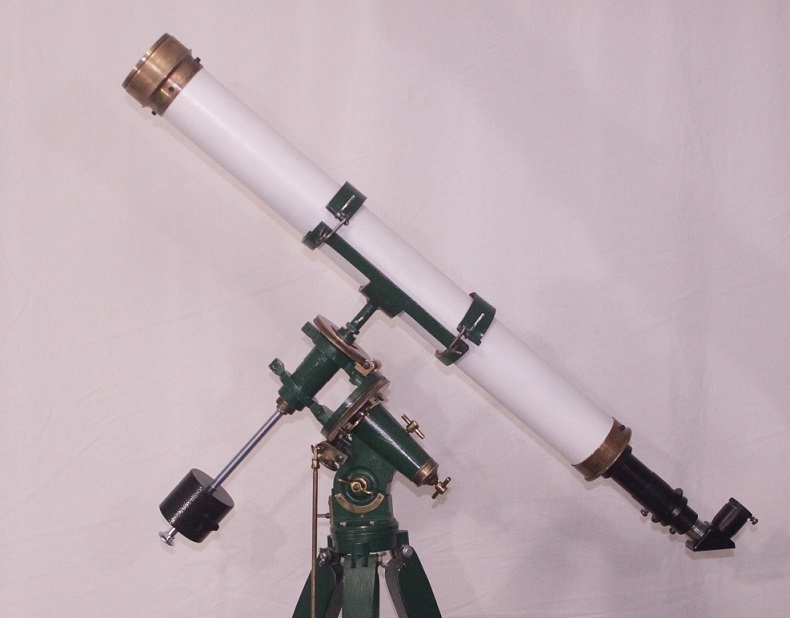 You can see a video about these two scopes here Mogey Telescopes. This entry was posted in Uncategorized on August 8, 2016 by DaveTrott.